Congratulations to Dr. Hilary Writer, Winner of the 2018 Program Director of the Year Award! 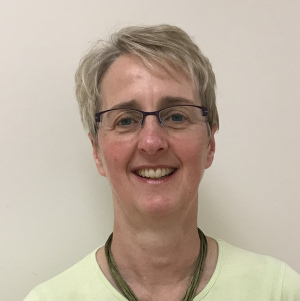 Dr. Hilary Writer, FRCPC, is a full-time Pediatric Intensive Care clinician teacher who has been the Program Director at the University of Ottawa Pediatrics Residency Program since 2012. Under her leadership, the residency program has undergone significant changes that have improved resident education and evaluation, and has diversified the learning opportunities for the pediatric residents. She has been instrumental in the creation and implementation of four new education endeavors, including a new pediatric transport rotation; the Scholarly Activity Guidance and Evaluation (SAGE) committee, supporting resident research; the Quality Improvement and Patient Safety Project; and the SPOT (Speed, Proactive, Outreach, and Teaching) team rotation. Currently, Dr. Writer is developing a novel Nunavut/Northern Ontario School of Medicine (NOSM) combined residency which would be the first of its kind. It will be instrumental in training pediatric residents who plan to develop skills working in northern environments with limited resources. Dr. Writer has had the foresight to anticipate the incoming Competence by Design (CBD) curriculum and has made regular efforts to be positive and motivating about this change with residents and departmental faculty. She has been familiarizing the PGME committee with the CBD concept and has initiated changes in the current evaluation scheme by instituting a rotation in the Emergency Department and a night float style call schedule in anticipation of this model. Residents consistently describe Dr. Writer’s office as an open door. They feel heard and listened to, and despite a large program, she meets with anyone, anywhere, unfailingly, and has her pager on to accommodate at all hours, 7 days a week. It is clear that Dr. Writer loves her work and is fully committed to providing trainees with the highlight level of experience and education. She has already left a lasting impression on the University of Ottawa’s program and its graduates. Please join us in congratulating her on receiving this well-deserved honour.